Kiroro is a place for people who carve a different path. 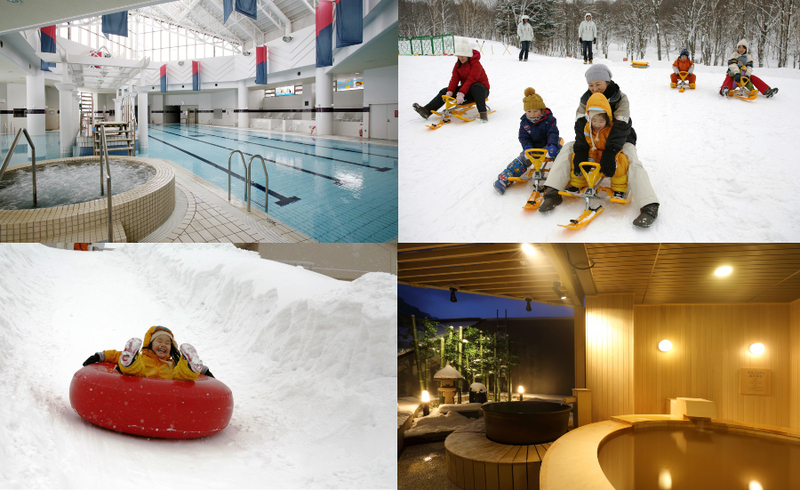 Located 1hr from Sapporo, the 5th largest city in Japan, 90min from New Chitose International Airport and 40min from the historical port town of Otaru, Kiroro Resort is in an ideal location surrounded by mountains. In winter, guests have access to world-class powder snow that blankets the 22 trails and iconic off-piste areas. The winter valleys are often referred to as the snowiest on earth and the best place to learn to ski powder. Average natural snowfall reaches 450cm per month, and a base depth that exceeds 500cm. The completely electronic ticketing system at Kiroro offers hassle free access to the mountain. While the season pass holders can take advantage of a wealth of benefits and discounts both locally and internationally. 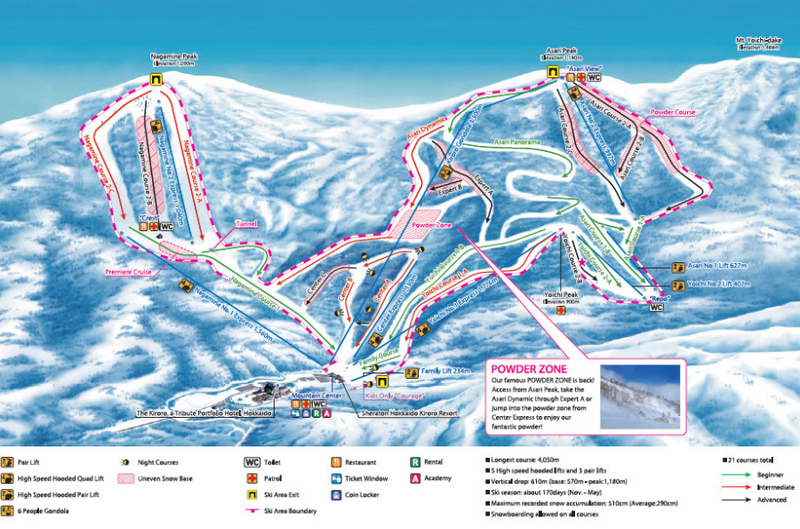 Pre-purchase your lift pass through the Kiroro webstore, collect your IC Card and go straight to the chairlifts! The new Center Link trail makes it even easier to get direct access to some of the best powder on the mountain. Experience exceptional service on and off the mountain, step off the slopes and have your equipment prepared for the next day. Discover more of the mountain with terrific lift accessed tree skiing. Enter the backcountry through one of the designated exits for unlimited powder opportunities. The Ice Hotel, Ice Restaurant and Ice Bar create a special experience and alluring dinning atmosphere unlike any other. Look forward to a warm original drink after enjoying winter activities. Raise your glass with friends in the evening while recalling the great moments of the day in these new stylish bars. Kiroro Resort starts its winter season operations late November and closes in early May, making for one of the longest seasons in the region. The variety of terrain is ideally suited for all ability levels from beginner to advanced. With easy access to the challenging backcountry terrain. There is much more to the resort than just skiing and snowboarding in winter, you can have your first ski or snowboard lesson, go for a toboggan ride, play in the outdoor snow park or indoor adventure playground, go snow shoeing or cross-country skiing and relax in the natural hot springs or go for a swim in the indoor heated pool. A dedicated and professional team of instructors are available to guide you through your first turns on snow or give you the key techniques needed to take on the steepest powder filled runs with confidence. Private lessons with International English speaking instructors are available for children or adults and are perfect for one-on-one lessons or groups of up to eight people. Kiroro is also home to the Annie Kids Ski Academy, the first sister school of the Village des Enfants, the largest dedicated kids ski program in Europe. Lessons are taught using a unique method that combines fun with learning. The school also offers full day programs that include lunch as well as fun recreational activities after the lessons. Instructors are Japanese with language assistants. Kiroro Rental Station is located at the base of the mountain with direct access to the ski area. Choose from a broad range of equipment to suit your needs including the latest powder and carving specific offerings from ski and snowboard brands. Enjoy your time on the mountain to the fullest with warm and comfortable garments and accessories also available to rent. Equipment that’s designed to help you improve faster and easier; the rental station carries all the gear needed for beginner – intermediate skiers and boarders. Prepay for your rental online and simply collect your equipment when you arrive. Kiroro Resort boasts 2 internationally renowned hotel brands that will ensure your stay at the resort is a true pleasure. Relax in comfort with luxuriously appointed rooms, both hotels offer Japanese and Western style rooms, spectacular views and easy access to the mountain and resort’s facilities, restaurants and geothermal spas. 10 dining options, 2 on-mountain restaurants and 2 new bars within the resort area mean there is sure to be something to suit everyone’s tastes. Savour the flavours of Hokkaido with dishes prepared using fresh, locally sourced ingredients. Large restaurants with plenty of seating mean families and friends can sit together and enjoy a meal. The restaurants offer a wide variety of cuisines including fresh sushi expertly prepared, mouth-watering meats and seafood and a delicious selection of dishes served in the buffets. Easily access Kiroro Resort via bus, train or car. Direct shuttle transfers operate from the airport. 90 minutes from Chitose IC. 60 minutes from Sapporo Nishi IC.